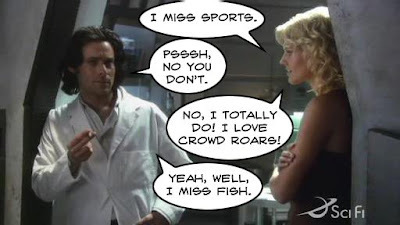 A lot of people really seem to like this Battlestar Galactica show, which just seems like a bunch of grife to me. Not that there's anything wrong with liking BSG. I like plenty of sci-fi, so who the shock am I to tell people what to like? Gorram nobody, that's who.